View More In Egg Trays. 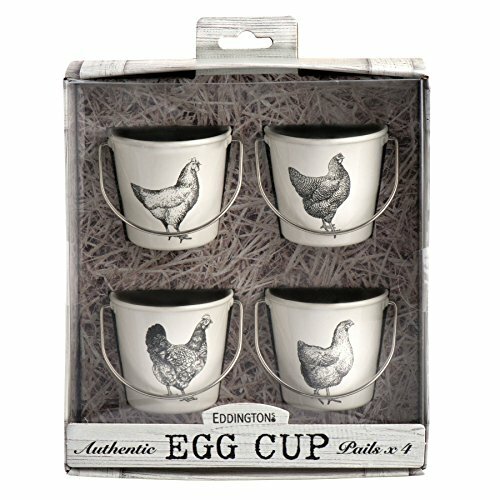 Mini pail/bucket style egg cups with hen design. A fun and novel way to enjoy your boiled eggs. Each cup size; 4.5 x 4.5 cm (1.75 x 1.75 inch). Hand wash only. A fun and novel way to enjoy your boiled eggs. Mini pail/bucket style egg cups with hen design. Each cup size; 4.5 x 4.5 cm (1.75 x 1.75 inch). If you have any questions about this product by Eddingtons, contact us by completing and submitting the form below. If you are looking for a specif part number, please include it with your message.